In a market that's teaming with options, finding the crossover SUV that's right for you can be challenging. Luckily there are stand out models like the 2017 Volkswagen Tiguan which offers everything you need from advanced technology to exceptional performance and more. Experience everything the 2017 Volkswagen Tiguan has to offer when you take a test drive at Southern Volkswagen Greenbrier today. We serve drivers in Chesapeake, Norfolk, Newport News, Portsmouth, Elizabeth City, and Virginia Beach. An SUV that offers more advanced technology is an SUV that offers a more entertaining driving experience. With the 2017 Volkswagen Tiguan, you'll have options for available features that are designed to make driving more fun. Choose from features like Volkswagen Car-Net App-Connect, a Fender premium audio system, rearview camera, Bluetooth and more! Plus enjoy the convenience offered by additional features like keyless access, push-button start, multi-function trip computer, color touchscreen control panel and more! Performance is everything in a vehicle. With the 2017 Volkswagen Tiguan, you'll experience a powerful ride with a 2.0L turbo engine that delivers 200 horsepower with 207 lb-ft of torque. Plus, you'll still get up to 24 miles per gallon on the highways of Virginia. Plus, when it comes to safety the Tiguan delivers the protection you need. With seven stability-enhancing features and a rigid safety cage, you'll feel safer on the roads no matter where you're going. Visit Southern Volkswagen Greenbrier Today! Choosing the crossover SUV that's right for you is only half of the process. Choosing a dealership that offers better service and more ways to save is what truly makes for a better car buying experience. Take advantage of the benefits included with our Southern Hospitality Buyers Program, featuring lifetime oil and filter changes, lifetime Virginia state inspections, a lifetime loaner car program and more! 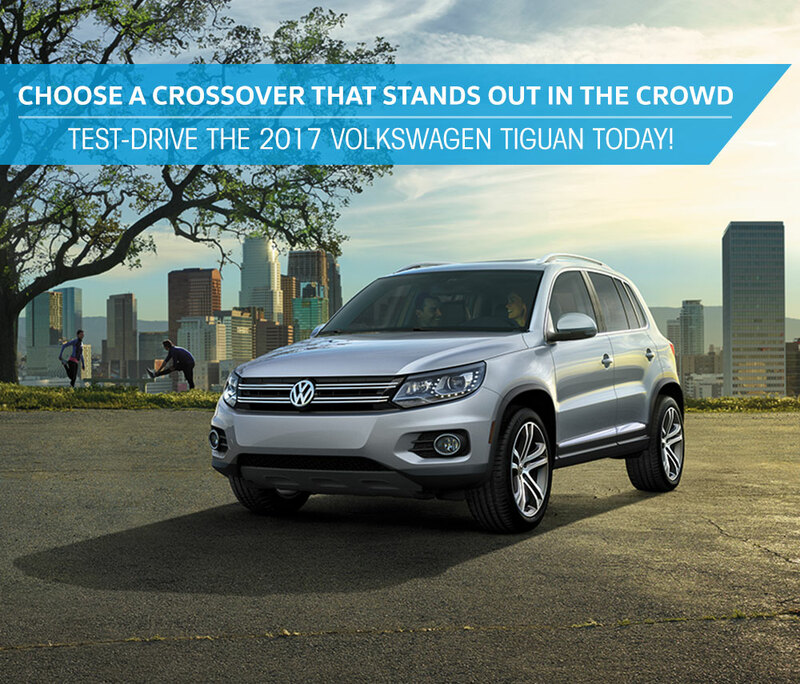 Fill out the form to schedule your test drive today, then visit our dealership to discover all the ways you can save on a new Volkswagen Tiguan! We serve drivers in Chesapeake, Norfolk, Portsmouth, Newport News in Virginia and Elizabeth City in North Carolina.